Download your Kindle copy today and tomorrow for FREE. Irish Kiss by Shéa MacLeod Morgan Bailey, vampire Hunter, thought finding a Leprechaun’s missing pot of gold would be easy. She couldn’t have been more wrong. The Luck of the Irish Brigade by M. Edward McNally The Irish are fighting themselves, only because there are no other worthy opponents. Song of the Banshee by Heather Marie Adkins Belinda has a job to do, but a dying man’s grandson may be a big problem. It’s a hard world for a lonely banshee. The Red Veil of Vengeance by Jack Wallen Vlad Kurvail is back and, as usual, he’s pissed. This time his cold vengeance is served up to the Irish. Will their luck hold out? Zombies Eat Leprechauns by P.J. Jones When a zombie curse infects the Fairytale Kingdom, Lucky the Leprechaun needs the help of an idiot dragon slayer and a cross-dressing dragon to escape. Can he make it out with his pot of gold, or will Lucky’s luck run out? 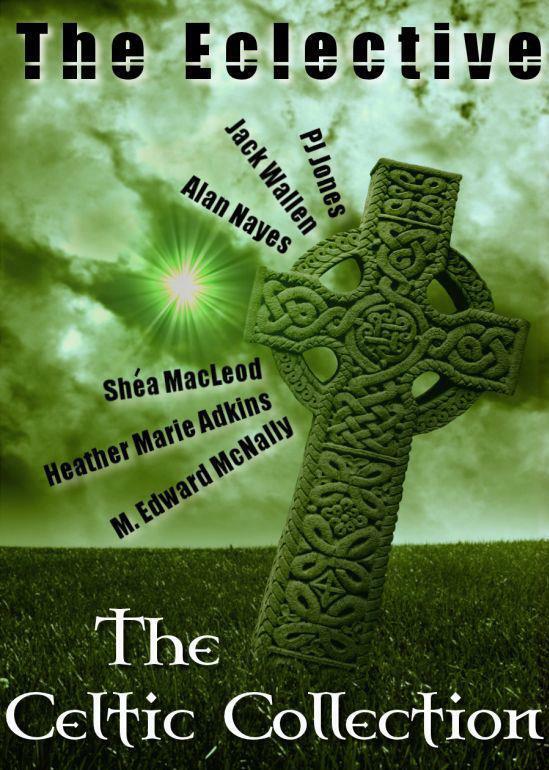 Five Shamrocks by Alan Nayes After her husband dies on St. Patrick’s Day, life goes on for Mattie O’Malley.